​This code is delivered by e-mail. Note: a 10-month Total Access subscription priced at $60 is coming soon. This collection of new readings—complete with Lexile scores, reading comprehension questions, and writing assignments—retains the same lively, high-interest tone and content found in our books. Exercises and tests from Ten Steps have been restructured for tutoring programs, labs, or co-requisite classes. The result? You can now choose the skill, level, and sequence you want to teach. Want to cover a unit on main ideas? Looking to teach a modular course on inferences? The Skills Bank makes it easy. To become stronger readers, students need to read. 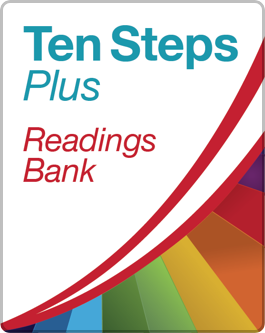 With Ten Steps Plus, they can. eBooks of all 100+ titles in the popular Townsend Library are available AND can be assigned in classes. The Learning Center has long hosted thousands of Ten Steps exercises and test items to teach reading skills. These acclaimed materials are now part of Ten Steps Plus. Vocabulary Plus is a powerful online vocabulary-building program that brings ALL the content of our famously clear, user-friendly Vocabulary Series directly to your tablet, smartphone, or computer. Download a complete brochure to learn more, or visit our Learning Center. Independent Study (VPi): A user-friendly, adaptive mode of Vocabulary Plus that individually assesses students and manages assignments. Suitable for classes and/or individual students, VPi dynamically adjusts difficulty to keep students challenged and motivated. And it rewards them too! Plus educators can view students' progress with a simple click. Learn more about VPi here. 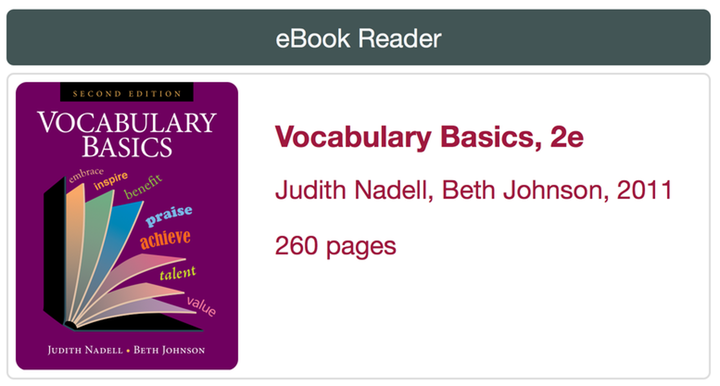 Integrated eBooks: A subscription to Vocabulary Plus includes eBooks of all six texts in the TP Vocabulary Series. If you prefer the layout of a book and want to refer to content of a specific page, you can do so with a click. With Vocabulary Plus, the entire Vocabulary Series is at your fingertips! 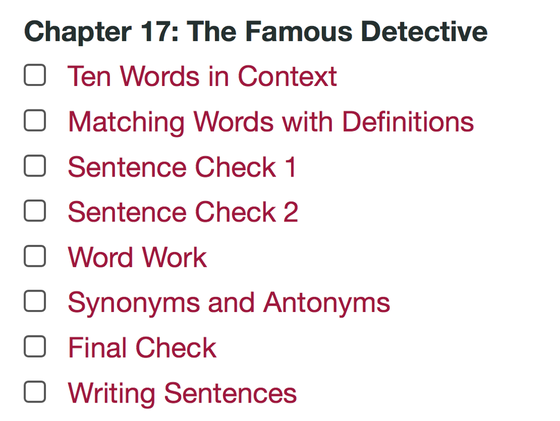 Expanded Chapter Exercises for the six books in our Vocabulary Series. Depending on the titles, this includes anywhere from 6–8 interactive, instructive activities! Each includes item-specific feedback that helps students learn their new words. Word Parts Chapters that teach prefixes, suffixes, and word roots. Students who learn these word parts will be better equipped to decipher the meanings of thousands of other words in which they appear. 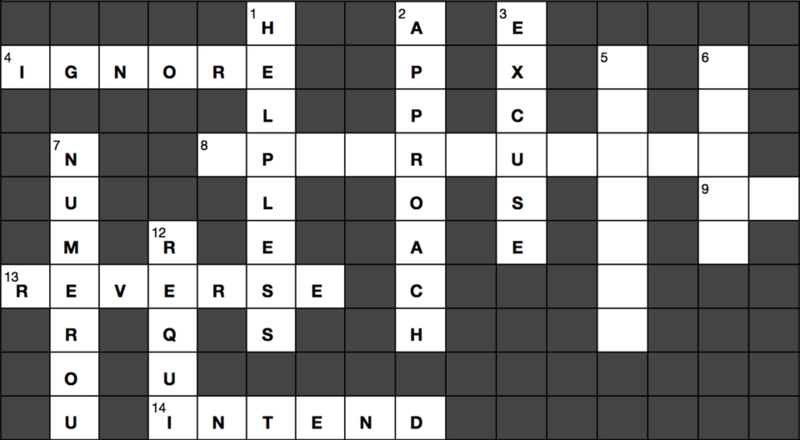 Unit Reviews including crossword puzzles, analogies, and synonym and antonym activities adapted from the printed books. Sentence Writing Activities, all new for Vocabulary Plus, allow students to compose sentences online to show their understanding of newly-learned words. Instructors can easily review and score these sentences online. Online Tests: Two online tests, unique to the web and not found in our texts, are available for each chapter in Vocabulary Plus. 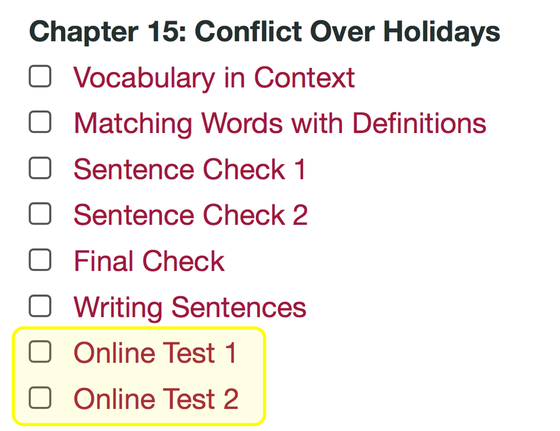 With these tests, Vocabulary Plus actually offers more content than our books! 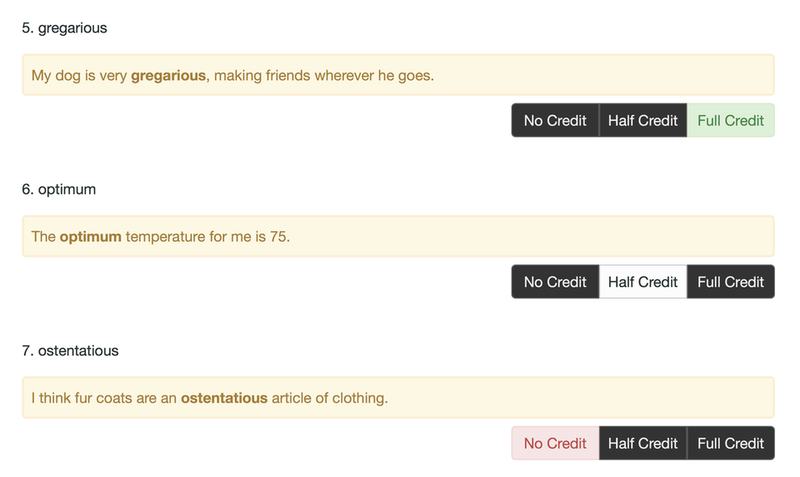 Enhanced Items: Items in Vocabulary Plus take advantage of new, upgraded technical capabilities. 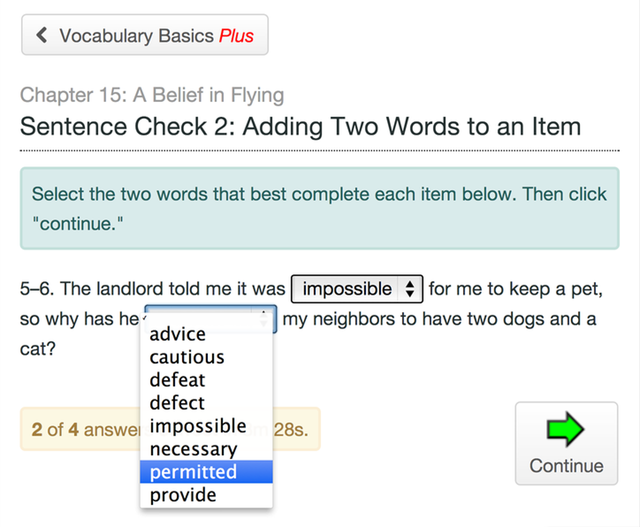 Sentence Check 2 and Final Check, for example, now offer more challenging answer choices. 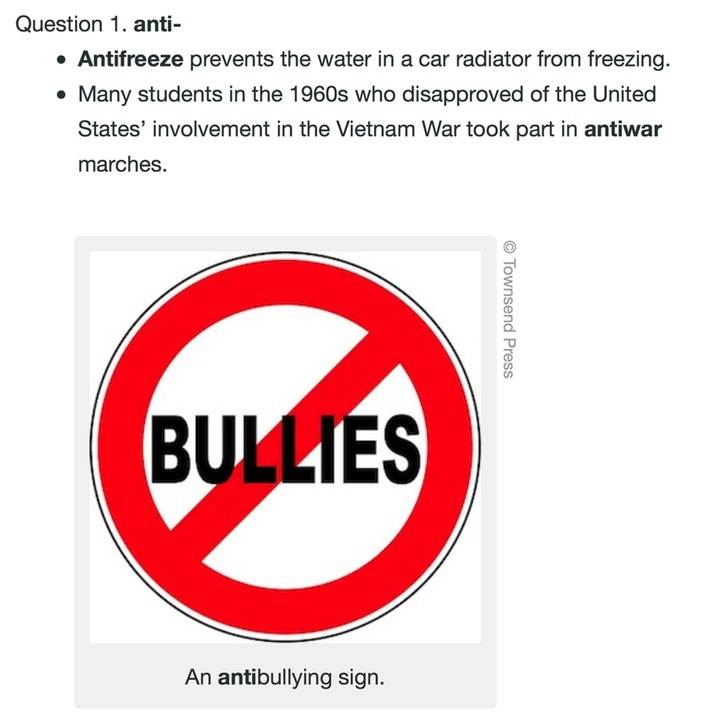 In addition, Vocabulary in Context items now provide students with two context sentences to help them infer each word’s meaning at the start of the chapter. Review Words: Words taught in earlier chapters are reinforced later as Vocabulary Review words. These words include definitions to refresh students’ memories and help them retain the words they learned in previous chapters. In addition, SAT and GRE high-frequency words are given extra attention—an added real-world connection! Audio and Visual Support: Each vocabulary word in Vocabulary Plus includes a pronunciation guide AND an audio link of the word being spoken. Click a word, and Vocabulary Plus will pronounce it for you. In addition, pictures are used to introduce many words. This visual context helps students better understand and remember vocabulary words. See for yourself! Intuitive Controls: People who use our Learning Center remark about how user-friendly it is. Vocabulary Plus is just as simple to use. Try it today! 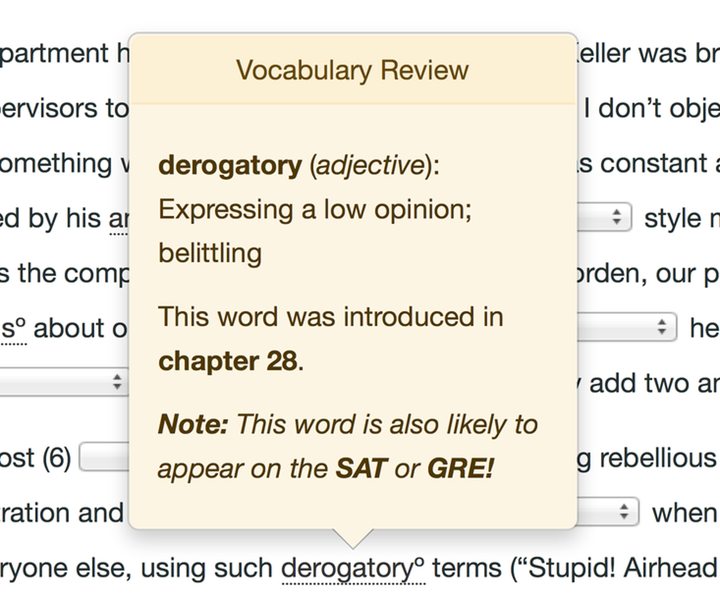 Detailed Score Reports: Teachers using Vocabulary Plus will be able to view precise details about student progress. Individual and group results are available and easily exported. In addition, you’ll be able to see the actual items students complete, the correct answers for each item (with explanations), and the answer choices students submitted. This useful data will allow you to focus class time on the specific skills that are challenging to your students. College Reading Essentials Plus will help give your students the skills and practice needed to become better readers and stronger thinkers. This eBook and accompanying digital material offer clear instruction and systematic practice in seven essential skills, from reading grade levels 8 through 12. Get a full brochure here. 1. Digital versions of all CRE's Tests: Digital versions of all tests in each level and chapter in the book. Unlike print versions, these can be assigned, managed, and scored electronically. 2. Bonus Tests: Digital versions of the supplemental tests found in CRE's Instructor's Manual and Test Bank are included in CRE Plus. Again, these can be assigned, managed, and scored electronically. 3. CRE Plus—Independent Study: An individualized, self-guided program that uses adaptive technology, incentive "badges," and robust feedback & reporting so students can work on CRE's skills independently. See below for details. 4. Annotations and Feedback: CRE Plus provides detailed explanations for every item. Students receive immediate constructive feedback as they work through each skill. 5. CRE eBook: A complete eBook of College Reading Essentials. 6. 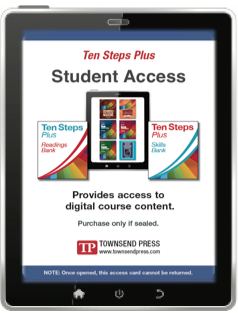 Townsend Library Access: eBooks of all 100+ titles in the popular Townsend Library are available AND can be assigned in classes. The centerpiece of CRE Plus—and what sets it apart from the text—is a unique capability called Independent Study. An alternative to a traditional class-based approach (which is also included), CRE Plus—Independent Study is an individualized adaptive mode that allows students to work on their own, at their own pace and schedule. Students begin at the most basic skill and level and progress to the most advanced. As they work, they earn encouraging achievement "badges" and can track their progress data in real time. The central graph shown here indicates students' level (10) and the skill they are currently completing (Patterns of Organization). It varies for each student and updates constantly as they work in Independent Study. Robust reporting allows students and teachers to monitor and evaluate progress at any time. Group and class reports are also available. • Part One focuses on fourteen grammar and punctuation skills that students most need to write well. Once students master the basics, they can go on to Part Two, which includes secondary information about a number of skills. The materials in Parts Three and Four may be introduced at any time during the course. It is better to learn a step at a time than to risk confusion by trying to learn everything at once. For example, dependent-word fragments are the subject of one chapter; other common types of fragments appear in a second chapter. The most common homonyms are covered in Part One; other homonyms follow in a “More about Homonyms” section in Part Two. • Each skill is explained in a one-page review that students can read and understand fairly quickly. Once they have grasped this basic material, they can go on to learn more about the skill and practice using the skill. • Explanations are written in simple, familiar language, with a real emphasis on clarity and a minimum of grammatical terminology. • The book is written in a friendly and helpful tone of voice—one that never condescends to students, but instead treats them as adults. The book is based on the assumption that students learn best when clear explanations are followed by abundant practice. 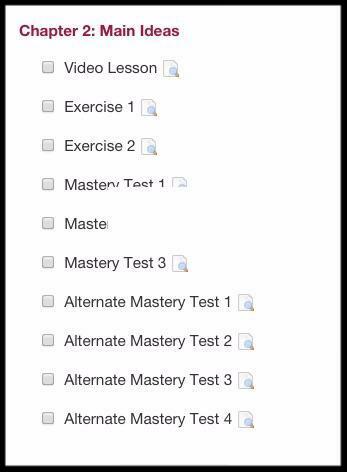 For each chapter in Part One, there is a practice activity followed by four full-page tests. 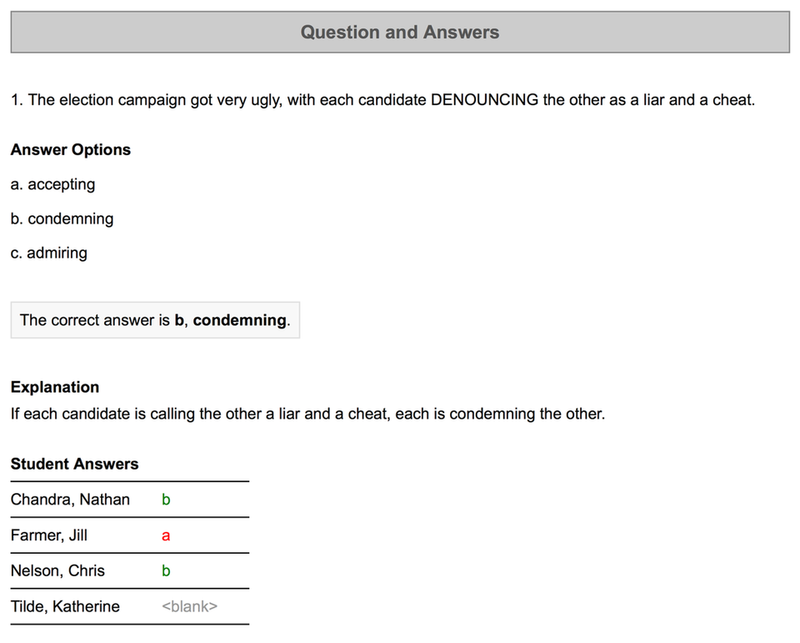 The last two tests are designed to resemble standardized tests and permit easy grading. 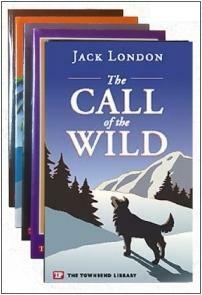 Lively and engaging examples and practice materials will help maintain student interest throughout the book. Reading-Writing Plus includes full eBooks of both of our acclaimed titles: The Reading-Writing Connection and The Advanced Reading-Writing Connection. eBooks are accessed inside the Learning Center and include bookmarking, highlighting, and note-taking capabilities. Reading-Writing Plus comes with 15 new readings complete with Lexile scores and reading comprehension and writing assignments. These readings retain the same lively, high-interest quality of our books. See for yourself today with your instructor account. Don’t have one? Visit www.townsendpress.net and create one. Want to cover a unit on main ideas? 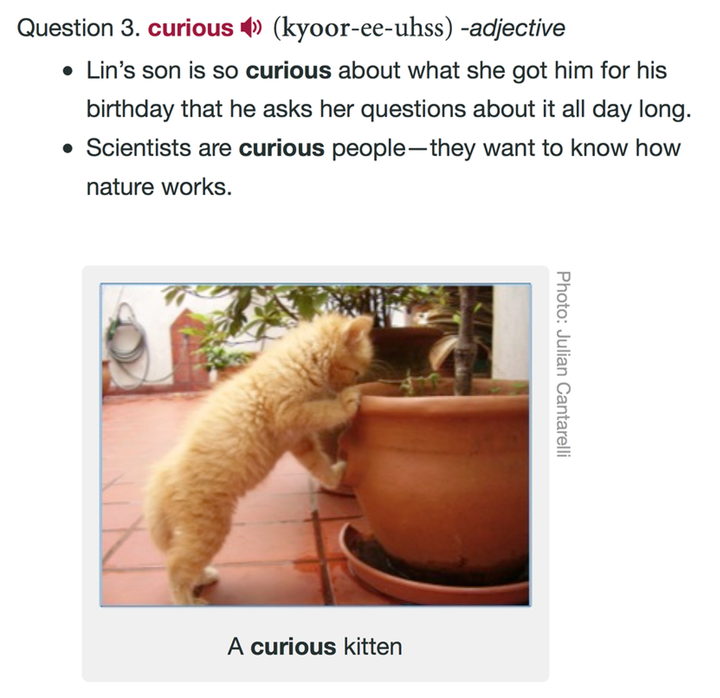 Looking to teach a modular course on inferences? Need students in your co-requisite class to brush up on supporting details? The Skills Bank makes it easy. 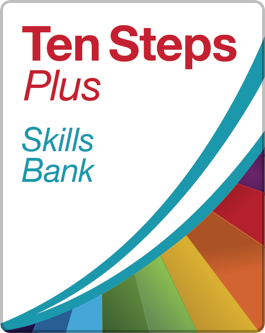 Featuring the online exercises and tests from our companion Ten Steps Series, the Skills Bank lets you choose the skill(s), level(s), and sequence you want to teach. To become stronger readers, students need to read. With Reading-Writing Plus, they can. eBooks of all 100+ titles in the popular Townsend Library are available AND can be assigned in classes. The Learning Center has long hosted thousands of Ten Steps exercises and test items to teach reading skills. *Students must have a paid subscription to access Reading-Writing Plus materials.